Tortilla soup with no tortillas? This recipe is from Jean another of my resolute partners in exercise. She is an amazing cook and is surrounded by low carb foodies, so today she came up with a great soup. Here is the recipe and the mouth watering picture she sent along. An ideal way to use leftover roasted chicken. Quoted from Jean: “I had chicken and I put it in chicken broth (the kind in the box). Added a can of Rotel tomatoes* and heated it. Added 1/4 avocado, diced and a little pepper jack cheese. Would have added cilantro but I do not have any in the house and you could add sour cream. 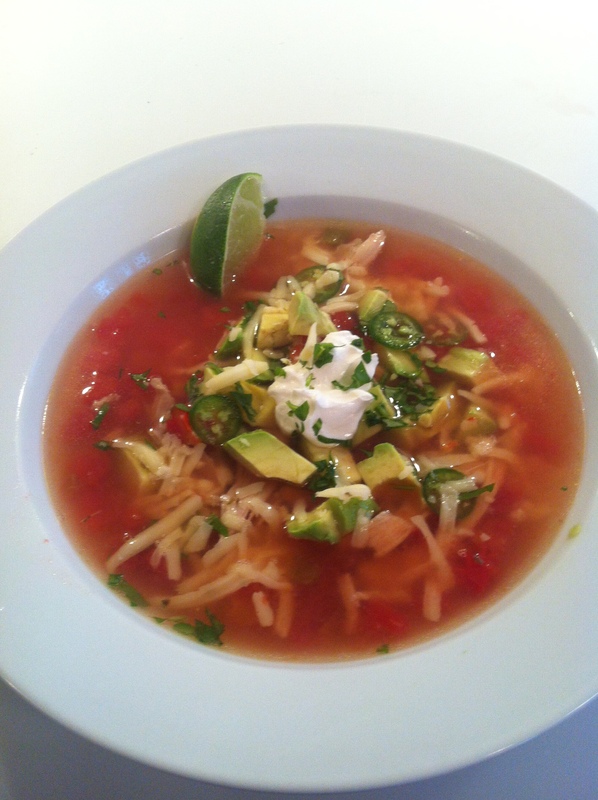 Pretty yummy chicken tortilla soup without the tortilla. Added a dash of fresh lime juice. * Rotel Tomatoes-10 oz can has 2.5 servings and 5g carbs per serving with 1g fiber. I do the net carb thing so that is 4 g carbs per serving. Help with a name for this soup would be appreciated! Sarah sent this and it looks so good. 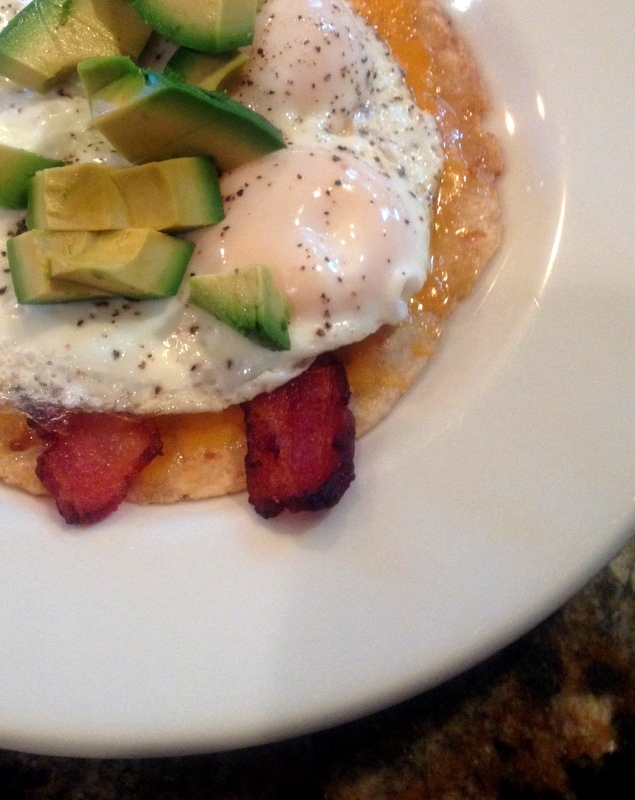 Great hearty breakfast using a 1 carb tortilla, shredded cheddar cheese, bacon, eggs and avocado. Such a great way to start the day before hitting the slopes. Honestly, breakfast is just the best when you are living low carb!